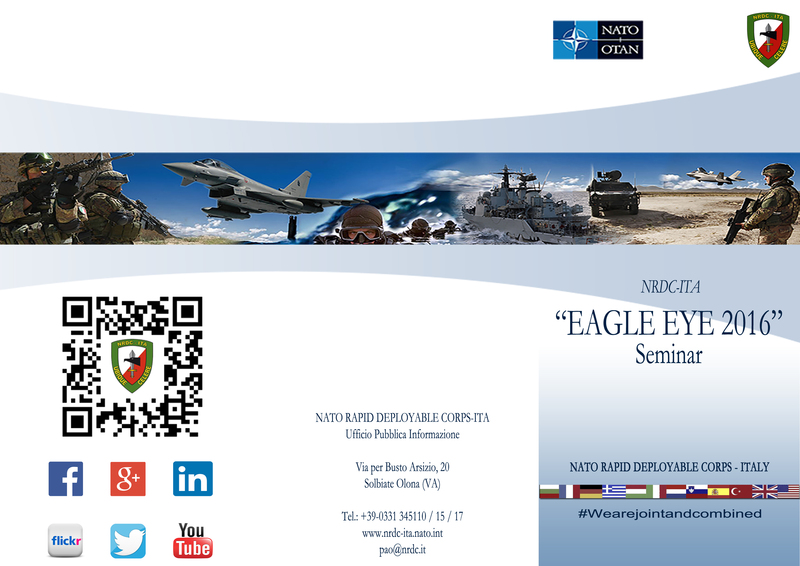 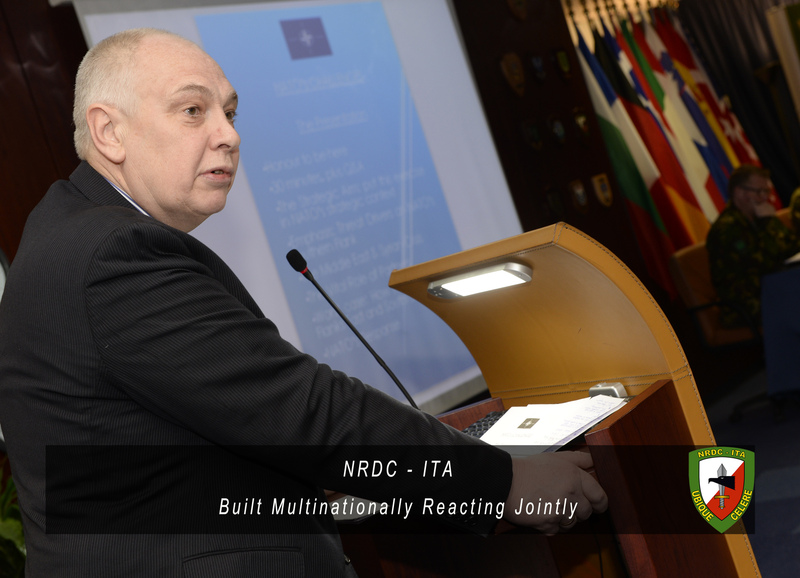 In order to adapt to the new challenges being faced by the NATO Alliance whilst conducting a structural transition, NRDC-ITA is hosting Eagle Eye Seminar 2016. 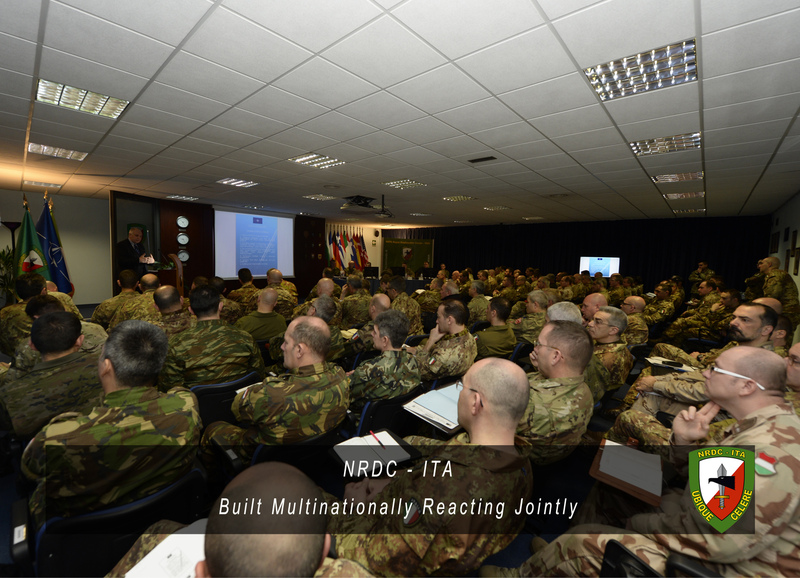 This seminar brings together experts like Doctor Julian Lindley-French (Strategic Advisory Group of the Atlantic Council of the United States and member of the Strategic Advisory Panel of General Sir Nick Houghton, Chief of the British Defence Staff) and other professionals to develop ideas dealing with these topics. 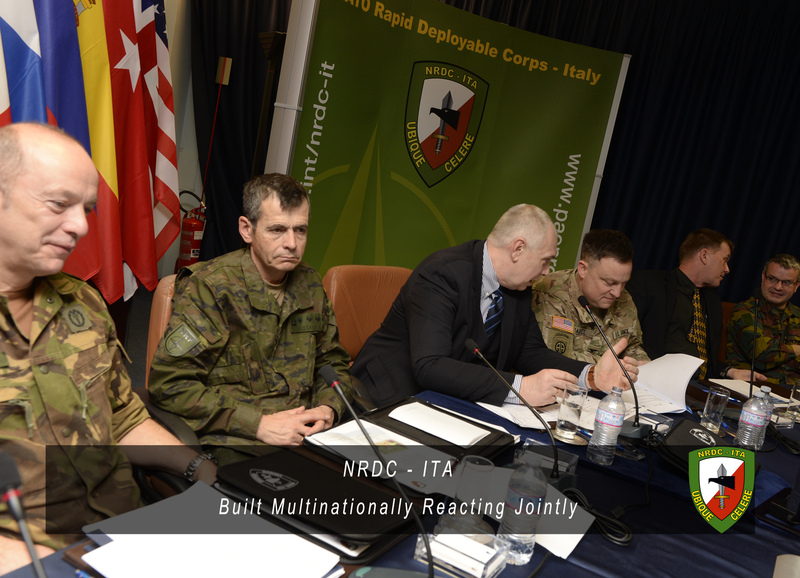 The conference is developing the Very High Readiness Joint Task Force (VJTF) concept, as well as the transition NRDC-ITA will start at the end of its current readiness period towards the NATO Force Structure Land Component Command role. 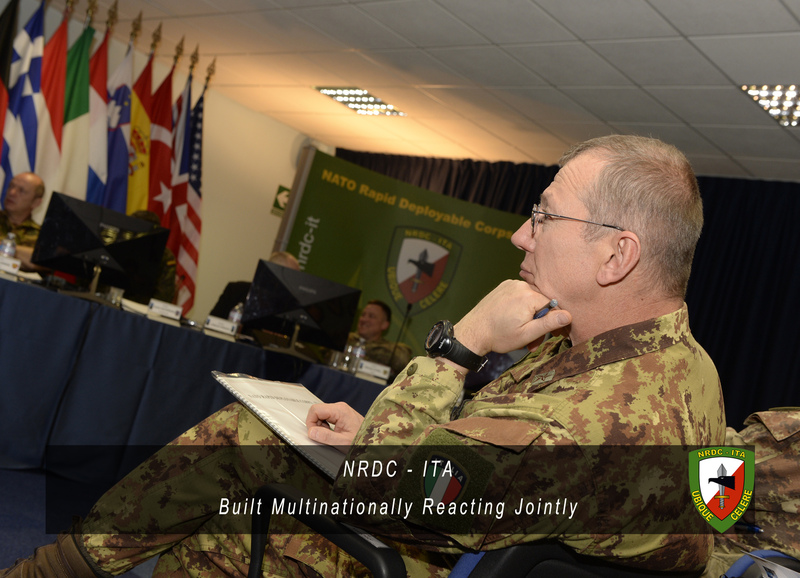 The HQ is currently configured to deploy as a Joint Task Force (Land heavy) at the Operational level. 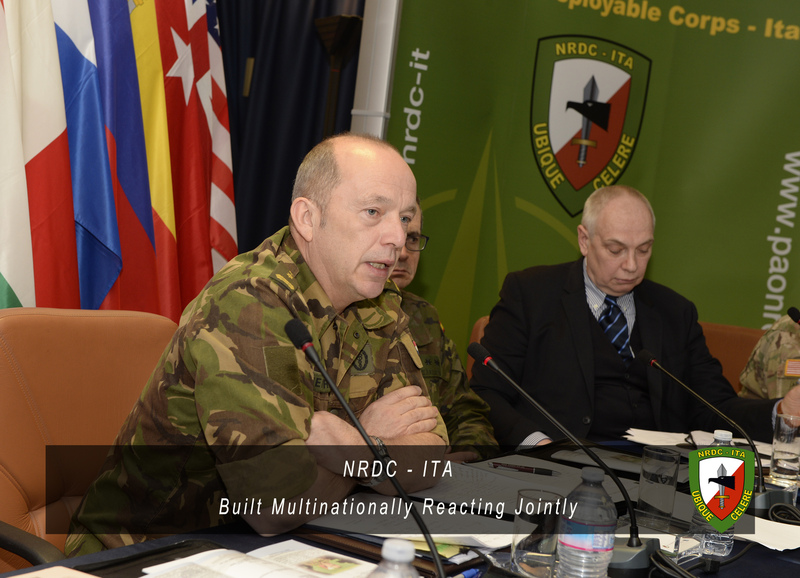 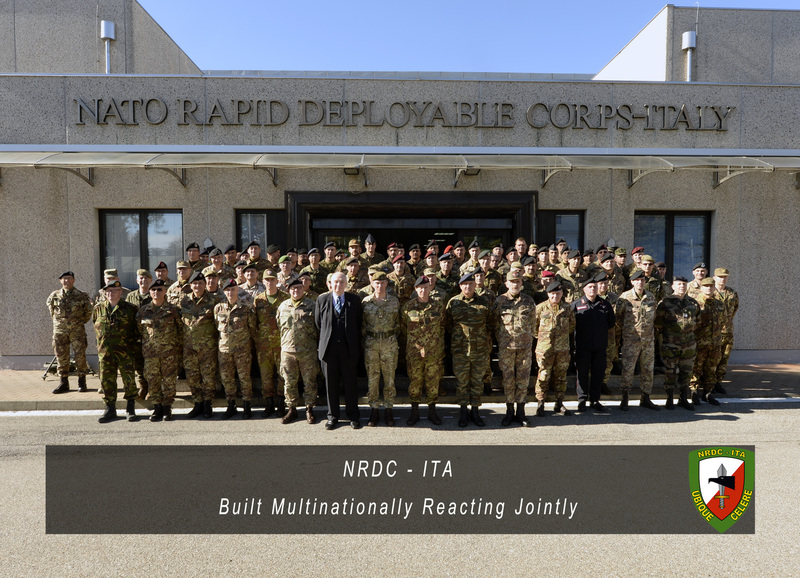 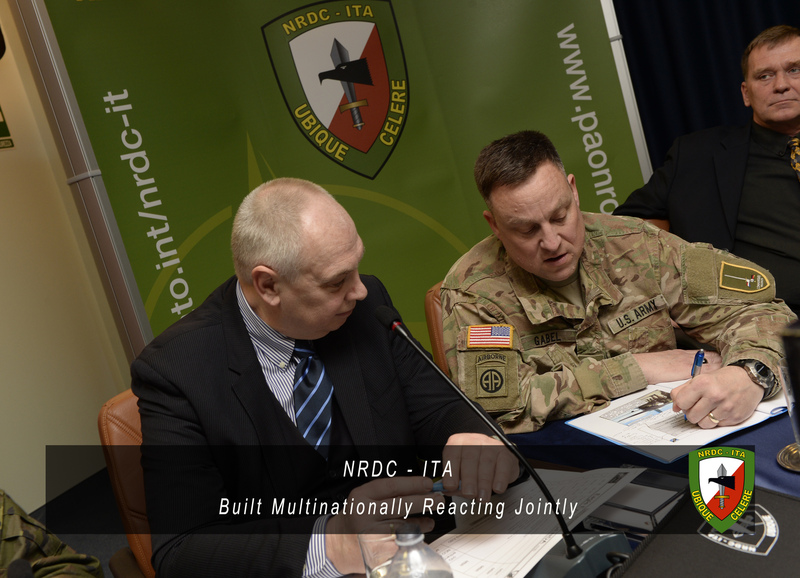 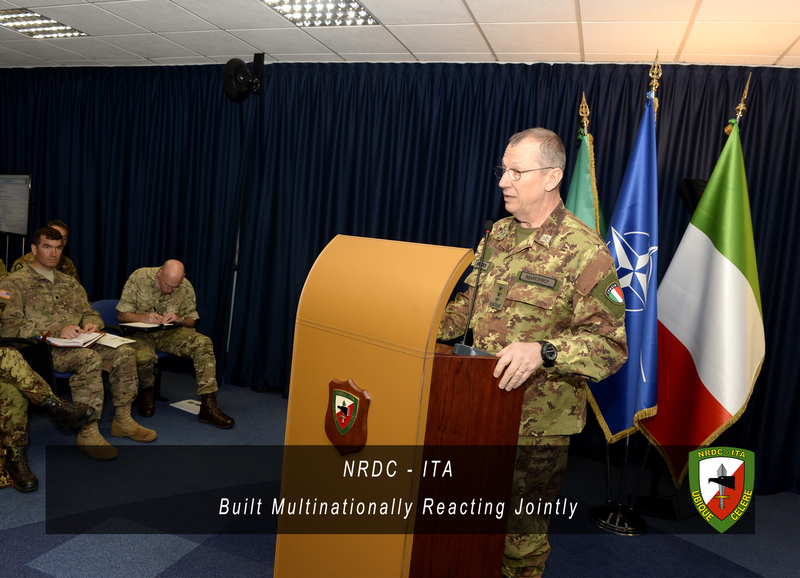 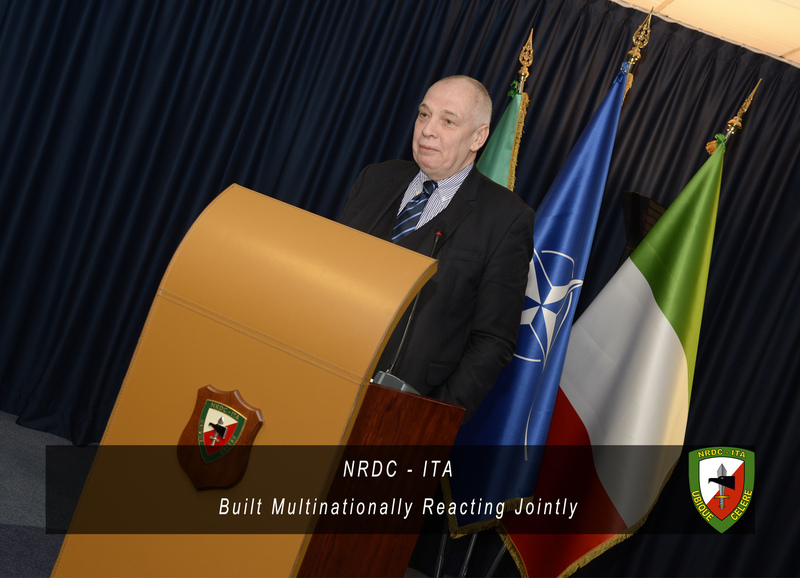 The transition will bring NRDC-ITA to the Tactical level and prepare it to act as the Land Component Command of the enhanced NATO Response Force (eNRF). 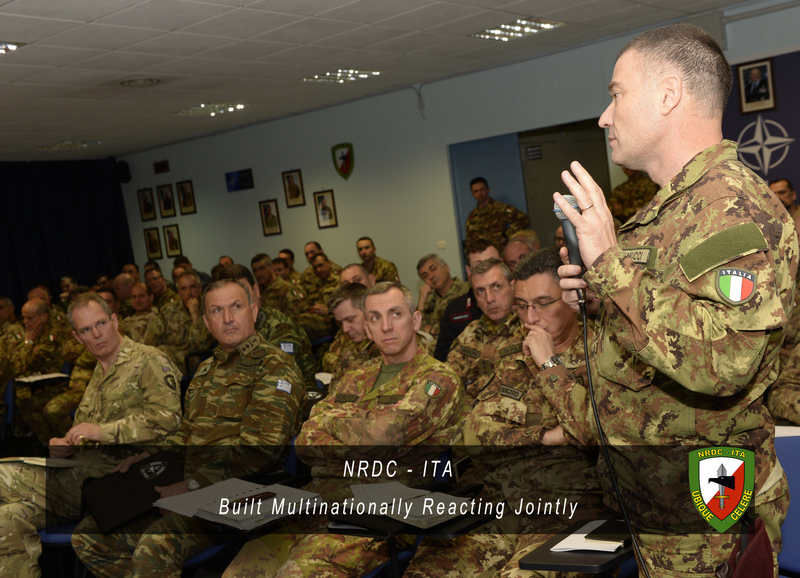 Professional overview of the topics made by representatives from NATO HQs are bringing about fruitful discussion and debates amongst the senior Staff at NRDC-ITA in order to find the necessary solutions to the challenges ahead.